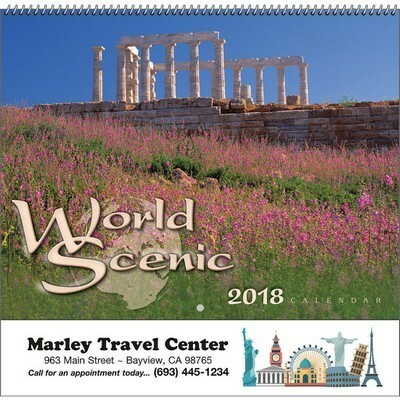 Go the extra mile in your marketing campaigns by pairing attractive scenery with some advertising power by using the World Scenic Spiral Wall Calendar. It features full-color images of beautiful landscapes and famous buildings from around the world. 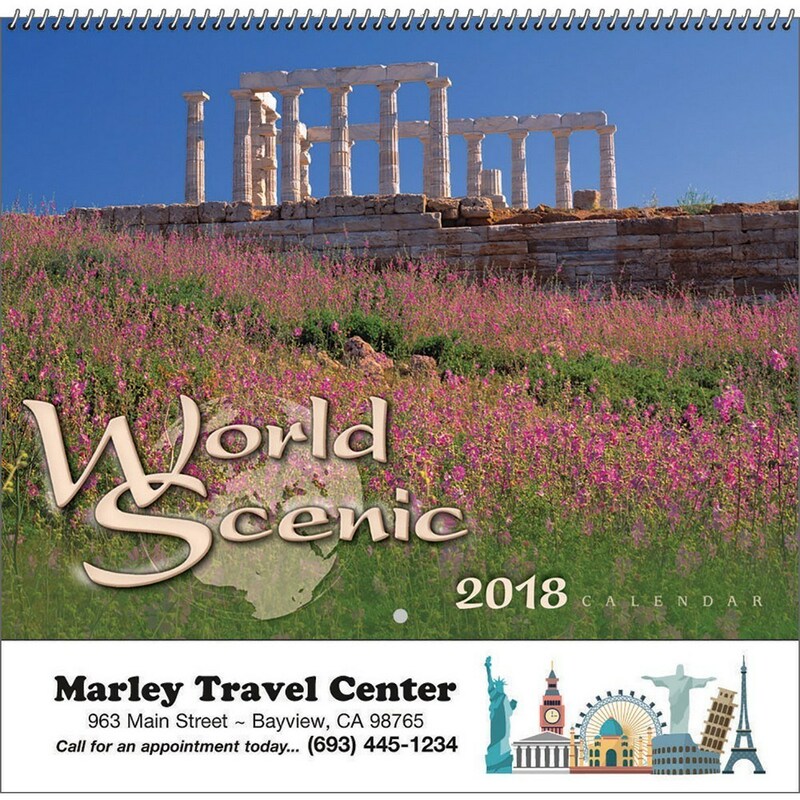 Go the extra mile in your marketing campaigns by pairing attractive scenery with some advertising power by using the World Scenic Spiral Wall Calendar. It features full-color images of beautiful landscapes and famous buildings from around the world. They are one of the cost effective ways to remind your customers of your company’s service and commitment all year long. It has ample space to jot down important appointments and notes. 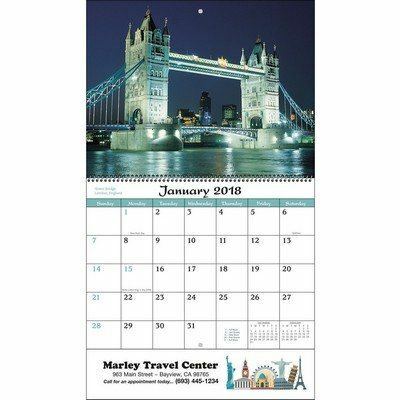 Emblazon your company’s logo on the calendar and give it away to insurance agents, financial consultants, banks, travel agencies, and educational institutions to highlight your brand above the competitors.